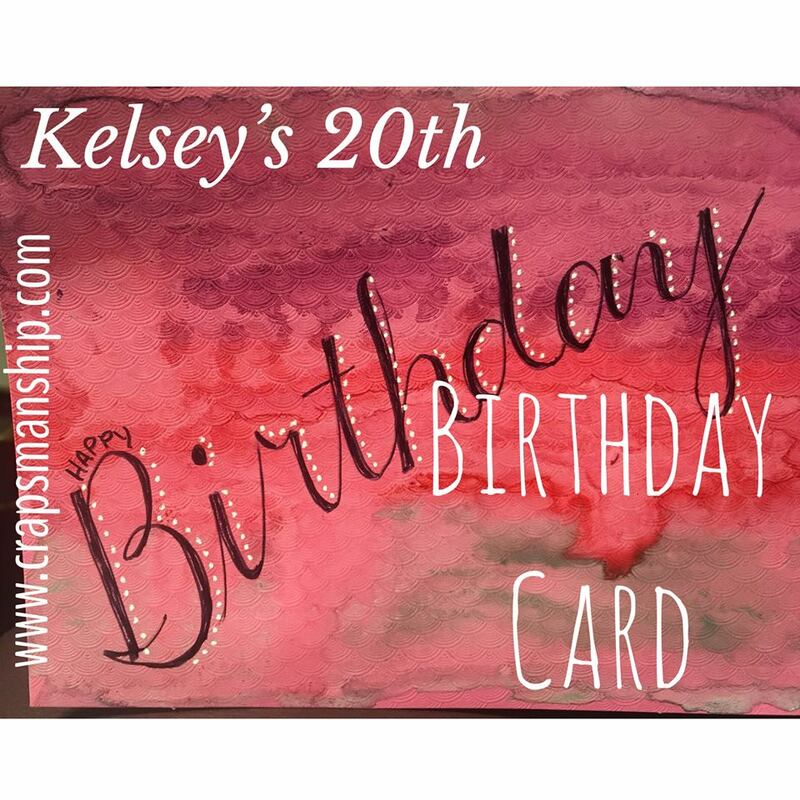 My granddaughter Kelsey has just turned 20, and I made her this birthday card. I’m not sure she was very impressed with my illustration skills, but I’m quite convinced she appreciated the cash that accompanied the card! I first washed the front of a blank white notecard with some Distress crayons and water. Once dry, I penned the words “Happy birthday” and dotted each letter with a white Gelly Roll pen. 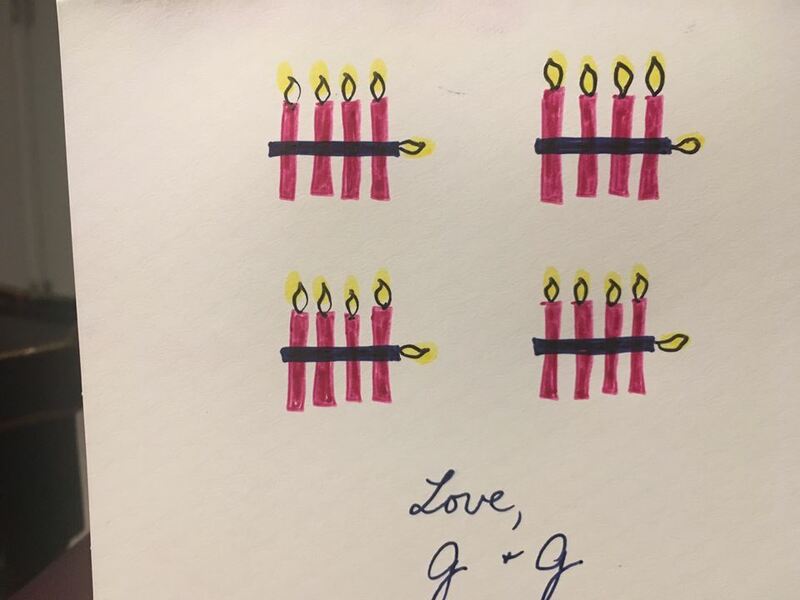 On the inside, I again used Gelly Roll pens to create birthday candles representing tally marks. My signature, “G & G”, is our standard one for “Grandma and Grandpa.” Love, love, love! 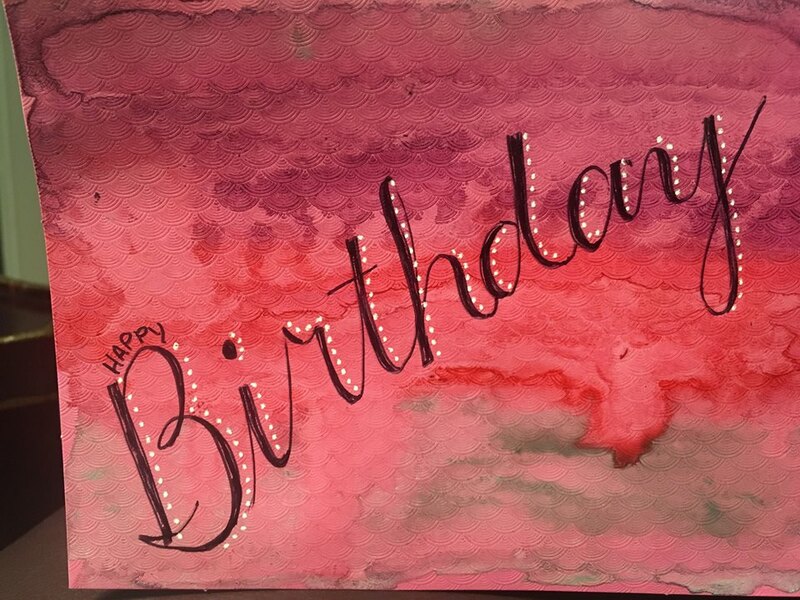 Need a quick birthday card? Crapsmanship refers to the making of products in a sub-standard way, though my crapsmanship often turns into craftsmanship. I'll show you how!